Commission Delegated Regulation (EU) 2017/655 (2) lays down, inter alia, the procedures for the monitoring of gaseous pollutant emissions from in-service internal combustion engines installed in non-road mobile machinery. Pursuant to Table III-1 of Annex III to Regulation (EU) 2016/1628, the mandatory dates of application for EU type-approval and placing on the market of engines of sub-category NRE-v-5 is one year later than for engines of sub-category NRE-v-6. Therefore, to facilitate manufacturers of these NRE-v-5 engines of lower power ranges to comply with the limit dates for submitting test results to the approval authorities set out in Delegated Regulation (EU) 2017/655, the required duration of accumulated service of in-service internal combustion engines installed in non-road mobile machinery and tested in the framework of monitoring of gaseous pollutant emissions should be reduced for that sub-category of engines. For the purpose of clarity, it should be stated in Appendix 5 of the Annex to Delegated Regulation (EU) 2017/655 that the reference work and reference CO2 mass used by the manufacturer in the procedures for the calculation of gaseous pollutant emissions for an engine type, or any engine type within the same engine family, are those specified in the addendum of the EU type-approval certificate of the engine type, or the engine family, in accordance with the template set out in Annex IV to Commission Implementing Regulation (EU) 2017/656 (3). To avoid mistakes in the rounding of gaseous pollutant emissions calculations, it should be clarified that the applicable exhaust emissions limit values are set out in Article 18(2) of Regulation (EU) 2016/1628. To ensure the internal consistency of the Delegated Regulation (EU) 2017/655 and to align it with Commission Delegated Regulation (EU) 2017/654 (4), certain measurement units should be revised. Following the publication of Delegated Regulation (EU) 2017/655, errors of different types, including incorrect assignment of responsibilities and mistakes in certain equations, have been detected and need to be corrected. 2. Notwithstanding the application of the provisions of this Regulation, as amended by Delegated Regulation (EU) 2018/987, the Member States shall, until 30 June 2019, also permit the placing on the market of engines based on an engine type approved in accordance with this Regulation, in its version applicable on 6 August 2018. (*1) Commission Delegated Regulation (EU) 2018/987 of 27 April 2018 amending and correcting Delegated Regulation (EU) 2017/655 supplementing Regulation (EU) 2016/1628 of the European Parliament and of the Council with regard to monitoring of gaseous pollutant emissions from in-service internal combustion engines installed in non-road mobile machinery (OJ L 182, 18.7.2018, p. 40).’;"
the Annex to Delegated Regulation (EU) 2017/655 is amended in accordance with Annex I to this Regulation. The Annex to Delegated Regulation (EU) 2017/655 is corrected in accordance with Annex II to this Regulation. Done at Brussels, 27 April 2018. (2) Commission Delegated Regulation (EU) 2017/655 of 19 December 2016 supplementing Regulation (EU) 2016/1628 of the European Parliament and of the Council with regard to monitoring of gaseous pollutant emissions from in-service internal combustion engines installed in non-road mobile machinery (OJ L 102, 13.4.2017, p. 334). (3) Commission Implementing Regulation (EU) 2017/656 of 19 December 2016 laying down the administrative requirements relating to emission limits and type-approval of internal combustion engines for non-road mobile machinery in accordance with Regulation (EU) 2016/1628 of the European Parliament and of the Council (OJ L 102, 13.4.2017, p. 364). (4) Commission Delegated Regulation (EU) 2017/654 of 19 December 2016 supplementing Regulation (EU) 2016/1628 of the European Parliament and of the Council with regard to technical and general requirements relating to emission limits and type-approval for internal combustion engines for non-road mobile machinery (OJ L 102, 13.4.2017, p. 1). Testing 9 engines with an accumulated service of less than a % of the EDP, in accordance with Table 1. Test results shall be submitted to the approval authority by 31 December 2022. The reference work and reference CO2 mass of an engine type, or for all engine types within the same engine family, shall be those specified in points 11.3.1 and 11.3.2 of the addendum to the EU type approval certificate of the engine type or the engine family, as set out in Annex IV to Commission Implementing Regulation (EU) 2017/656 (*1). In accordance with Standard ASTM E 29-06b (Standard Practice for Using Significant Digits in Test Data to Determine Conformance with Specifications), the final test results shall be rounded in one step to the number of places to the right of the decimal point indicated by the applicable exhaust emissions limit values set out in Article 18(2) of Regulation (EU) 2016/1628 plus one additional significant figure.’. In-service monitoring tests shall be conducted using PEMS in accordance with Appendix 1. Manufacturers shall comply with the test procedure set out in Appendix 2 with regard to the in-service monitoring of engines installed on non-road mobile machinery using a PEMS. Manufacturers shall follow the procedures set out in Appendix 3 for the pre-processing of the data resulting of the in-service monitoring of engines installed on non-road mobile machinery using a PEMS. Engine total swept volume [cm3]’. Commission Implementing Regulation (EU) 2017/656 (2) lays down, inter alia, the templates for certain documents to be drawn up in the context of the EU type-approval of internal combustion engines for non-road mobile machinery. Given a number of errors and omissions, those templates should be amended and corrected and made more comprehensive. For the purpose of transparency and completeness, the engine manufacturer should include in the information folder a copy of the demonstration reports of specific tests when applying for an EU type-approval. In order to harmonise and facilitate the procedures for the calculation of gaseous pollutant emissions for in-service monitoring of non-road mobile engines in accordance with Commission Delegated Regulation (EU) 2017/655 (3), the reference work and the reference CO2 mass used for that calculation should be stated in the addendum of the template of the EU type-approval certificate and in the single format of the test report. For the purpose of harmonising the terminology used in the entire legislative package relating to emission limits and type-approval of internal combustion engines for non-road mobile machinery and clarifying their meaning, the terms ‘cylinder displacement’ and ‘engine displacement’ appearing in Implementing Regulation (EU) 2017/656 should be replaced by the terms ‘swept volume per cylinder’ and ‘engine total swept volume’. Finally, following the publication of Implementing Regulation (EU) 2017/656, minor errors of different types have been detected and need to be corrected. In particular, certain changes should be made to provisions containing contradictions or redundant information and certain references and numbering should be corrected. In particular, points 10 to 11.2 of the template for the single format of the test report should be corrected in order to correctly reflect the terminology used in Regulation (EU) 2016/1628. Implementing Regulation (EU) 2017/656 should therefore be amended and corrected accordingly. 1. Notwithstanding the application of the provisions of this Regulation, as amended by Commission Implementing Regulation (EU) 2018/988 (*1), approval authorities shall, until 31 December 2018, also continue to grant EU type-approvals to engine types or engine families in accordance with this Regulation, in its version applicable on 6 August 2018. 2. Notwithstanding the application of the provisions of this Regulation, as amended by Implementing Regulation (EU) 2018/988, the Member States shall, until 30 June 2019, also permit the placing on the market of engines based on an engine type approved in accordance with this Regulation, in its version applicable on 6 August 2018. (*1) Commission Implementing Regulation (EU) 2018/988 of 27 April 2018 amending and correcting Implementing Regulation (EU) 2017/656 laying down the administrative requirements relating to emission limits and type-approval of internal combustion engines for non-road mobile machinery in accordance with Regulation (EU) 2016/1628 of the European Parliament and of the Council (OJ L 182, 18.7.2018, p. 46).’;"
Annex IX is corrected in accordance with Annex VIII to this Regulation. (2) Commission Implementing Regulation (EU) 2017/656 of 19 December 2016 laying down the administrative requirements relating to emission limits and type-approval of internal combustion engines for non-road mobile machinery in accordance with Regulation (EU) 2016/1628 of the European Parliament and of the Council (OJ L 102, 13.4.2017, p. 364). “Homologation” means information required for any inspection to confirm that the engine matches with the characteristics of the specified engine type, and, where applicable, of the specified engine family. in the first row, in column 5 (‘Text for supplementary information’), the words ‘ENGINE NOT FOR USE IN EU MACHINERY’ are replaced by the words ‘ENGINE NOT FOR USE IN EU NON-ROAD MOBILE MACHINERY’. ‘Example of a EU type-approval number of a RLL-v-1 engine according to the SPE emission limits operating on diesel fuel, issued by Austria, which has been extended 2 times:’. 11.1. Cycle emissions results to be stated in Table 11. NRSC final result with DF (2). For NRSC indicate the cycle noted in point 9.1 (Table 4); for transient test indicate cycle noted in point 10.1 (Table 8). Copy the “Final test result with DF” results from Table 6. Copy “Final test result with DF” results from Table 9 or 10, as applicable. For an engine type or engine family that is tested on both the NRSC and a transient cycle, indicate the hot cycle CO2 emissions values from the NRTC noted in point 10.3.4 or the CO2 emissions values from the LSI-NRTC noted in point 10.4.4. For an engine only tested on an NRSC indicate the CO2 emissions values given in that cycle noted in point 9.3.3. Only applicable to engines of sub-categories NRE-v-5 and NRE-v-6 tested on NRTC. Indicate the cycle work for hot start test value from the NRTC noted in point 10.3.3. Indicate the cycle CO2 for hot start test value from the NRTC noted in point 10.3.4.’. 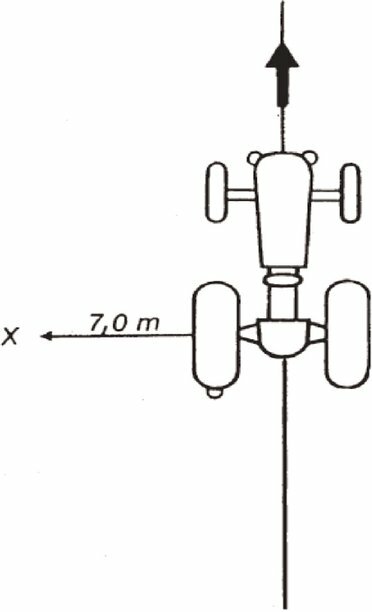 In order for engines with a swept volume per cylinder of ≥ 750 cm3 to be considered to belong to the same engine family, the spread of their swept volume per cylinder shall not exceed 15 per cent of the largest swept volume per cylinder within the engine family. In order for engines with an individual cylinder swept volume of < 750 cm3 to be considered to belong to the same engine family, the spread of their swept volume per cylinder shall not exceed 30 per cent of the largest swept volume per cylinder within the engine family. Notwithstanding points 2.4.4.1 and 2.4.4.2, engines with a swept volume per cylinder that exceeds the spread defined in paragraphs 2.4.4.1 and 2.4.4.2 may be considered to belong to the same engine family subject to the approval of the approval authority. The approval shall be based on technical elements (calculations, simulations, experimental results etc.) showing that exceeding the spread does not have a significant influence on the exhaust emissions.’. In order to enable the use of certain fuels legally marketed in some Member States without imposing an additional burden on manufacturers, the permitted content of fatty-acid methyl ester (‘FAME’) should be 8,0 % v/v instead of 7,0 % v/v. In order to ensure consistency with Article 7(2) of Commission Implementing Regulation (EU) 2017/656 (2), where an existing RLL test report is submitted to obtain a Stage V type approval in accordance with that Article, it should be permitted to use the same version of ‘F’ test type cycle for the purposes of checking the conformity of production of engines type-approved on that cycle. In order to improve the testing procedures for engines without an after-treatment system, specific requirements for determining deterioration factors should be established for engines without an after-treatment system. In order to consider all possible emission control strategies, the technical requirements relating to emission control strategies should include the base emission control strategy and not only the auxiliary emission control strategy. Emission control strategies' requirements were originally laid down for engines subject to a transient cycle. However, those requirements are not suitable for engines only subject to the NRSC which are not tested on a transient cycle. 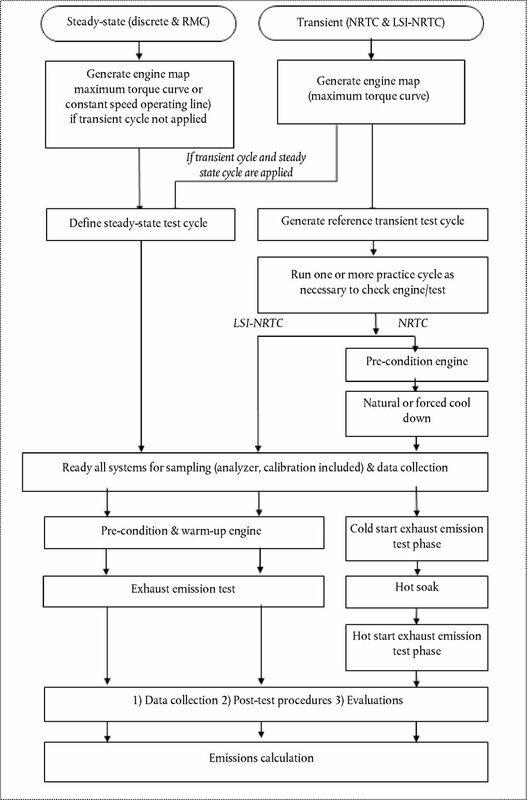 Existing engine transient emission control strategies should therefore be adapted to those engines by distinguishing between the conditions on the emission test (steady-state only) and any other operating conditions (transient). In order to take into account the regeneration of an after-treatment system during the demonstration based on random point selection in accordance with point 3 of Annex V to Commission Delegated Regulation (EU) 2017/654 (3) and to clarify that an engine after-treatment system may regenerate before the emission test cycle is run, the test requirements referred to in point 4 of Annex V of Delegated Regulation (EU) 2017/654 should be modified accordingly with new specific provisions on regeneration. In addition, to reduce the likelihood of regeneration during the test, the minimum sample time when the discrete-mode NRSC is used for the demonstration based on random point selection in accordance with point 3 of Annex V to Delegated Regulation (EU) 2017/654 should be reduced to 3 minutes per point. For the purpose of comprehensiveness, the manufacturer should include in the information folder as set out in Part A of Annex I to Implementing Regulation (EU) 2017/656 demonstration reports documenting the demonstrations conducted pursuant to specific technical requirements and procedures set out in Delegated Regulation (EU) 2017/654. The reference to the provisions of Regulation (EU) 2016/1628 requiring that deterioration factors are taken into account in the emission laboratory test results set out in Article 4 of Delegated Regulation (EU) 2017/654 is incorrect and should be corrected. To ensure consistency of Regulation (EU) 2016/1628 and all Delegated and Implementing Regulations adopted pursuant to that Regulation, some requirements applicable to engine-after-treatment system families should also be applicable to engine families, or groups of engine families. Certain changes should be made to provisions containing contradictions or redundant information and certain references should be corrected. Following the publication of Delegated Regulation (EU) 2017/654, further errors of different types, such as terminology and numbering, have been detected and need to be corrected. 1. Notwithstanding the application of the provisions of this Regulation, as amended by Commission Delegated Regulation (EU) 2018/989, approval authorities shall, until 31 December 2018, also continue to grant EU type-approvals to engine types or engine families in accordance with this Regulation, in its version applicable on 6 August 2018. Annex XV is amended in accordance with Annex XI to this Regulation. Annex VIII is corrected in accordance with Annex XVIII to this Regulation. Done at Brussels, 18 May 2018. (3) Commission Delegated Regulation (EU) 2017/654 of 19 December 2016 supplementing Regulation (EU) 2016/1628 of the European Parliament and of the Council with regard to technical and general requirements relating to emission limits and type-approval for internal combustion engines for non-road mobile machinery (OJ L 102, 13.4.2017, p. 1). In the absence of either a standard from the European Committee for Standardization (“CEN standard”) for non-road gas-oil or a table of fuel properties for non-road gas-oil in Directive 98/70/EC of the European Parliament and of the Council (*1), the diesel (non-road gas-oil) reference fuel in Annex IX shall represent market non-road gas-oils with a sulphur content not greater than 10 mg/kg, cetane number not less than 45 and a fatty-acid methyl ester (“FAME”) content not greater than 8,0 % v/v. Except where otherwise permitted in accordance with points 1.2.2.1, 1.2.3 and 1.2.4, the manufacturer shall make a corresponding declaration to the end-users in accordance with the requirements in Annex XV that operation of the engine on non-road gas-oil is limited to those fuels with a sulphur content not greater than 10 mg/kg (20 mg/kg at point of final distribution) cetane number not less than 45 and a FAME content not greater than 8,0 % v/v. The manufacturer may optionally specify other parameters (e.g. for lubricity). (*1) Directive 98/70/EC of the European Parliament and of the Council of 13 October 1998 relating to the quality of petrol and diesel fuels and amending Council Directive 93/12/EEC (OJ L 350, 28.12.1998, p. 58).’;"
‘For engines fuelled with natural gas/biomethane (NG) or liquefied petroleum gas (LPG), including dual-fuel engines, the tests shall be performed with at least two of the reference fuels for each gaseous-fuelled engine, except in the case of a gaseous-fuelled engine with a fuel-specific type-approval where only one reference fuel is required, as described in Appendix 1 to Annex I.’. The test engine shall represent the emission deterioration characteristics of the engine families that will apply the resulting deterioration factors for type approval. The engine manufacturer shall select one engine representing the engine family, group of engine families or engine-after-treatment system family, as determined in accordance with point 3.1.2, for testing over the service accumulation schedule referred to in point 3.2.2, which shall be reported to the approval authority before any testing commences. the test results were used in a previous type-approval granted before the applicable EU type-approval date given in Annex III to Regulation (EU) 2016/1628.’. Notwithstanding point 2.2.3, in the case of engine (sub-)categories that are not subject to non-road transient test cycles for EU type-approval purposes, the base emission control strategy may identify when transient operating conditions occur and apply the corresponding emission control strategy. In this case, this emission control strategy shall be included in the overview of the base emission control strategy required by point 1.4 of Annex I to Implementing Regulation (EU) 2017/656 and in the confidential information on emission control strategy set out in Appendix 2 to that Annex. The manufacturer shall comply with the documentation requirements laid down in point 1.4 of Part A of Annex I to Implementing Regulation (EU) 2017/656 and Appendix 2 to that Annex. Reagent freeze protection shall apply at ambient temperatures at or below 266 K (– 7 °C). The operator warning system described in points 4 to 4.9 shall be activated if no reagent dosing occurs at an ambient temperature ≤ 266 K (– 7 °C). the NOx value at which the NCM shall be detected shall not exceed the lower of either the applicable NOx limit multiplied by 2,25 or the applicable NOx limit plus 1,5 g/kWh. For engine sub-categories with a combined HC and NOx limit, the applicable NOx limit value for the purpose of this point shall be the combined limit value for HC and NOx reduced by 0,19 g/kWh. 10.3.1. The compliance of the warning system activation shall be demonstrated by performing two tests: lack of reagent, and one failure category identified in sections 7, 8 or 9. 10.3.2. Selection of the failure to be tested among those referred to in sections 7, 8 or 9. 10.3.2.1. The approval authority shall select one failure category. In the case that a failure is selected from points 7 or 9, the additional requirements set out in points 10.3.2.2 or 10.3.2.3 shall apply, respectively. 10.3.2.2. For the purpose of demonstrating the activation of the warning system in case of a wrong reagent quality, a reagent shall be selected with a dilution of the active ingredient at least as dilute as that communicated by the manufacturer in accordance with the requirements set out in points 7 to 7.3.3. The manufacturer shall provide the approval authority with a list of such potential failures. The failure to be considered in the test shall be selected by the approval authority from the list referred to in point 10.3.2.3.1.
a failure of the NCD system. The requirements of Appendix 1 apply to engines in scope of this Appendix, except as set out in points 3 and 4 of this Appendix. In order to account for safety concerns the operator inducement system set out in points 5 and 11.3 of Appendix 1 shall not apply to engines under the scope of this Appendix. The requirement to store data in an on-board computer log set out in point 4 of this Appendix shall apply wherever the inducement would have been activated in accordance with points 2.3.2.3.2, 6.3, 7.3, 8.4 and 9.4 of Appendix 1. 4.1. The on-board computer log must record in non-volatile computer memory or counters the total number and duration of all incidents of engine operation with inadequate reagent injection or reagent quality in a manner to ensure that the information cannot be intentionally deleted. 4.1.1. It shall be possible for national inspection authorities to read these records with a scan tool. 4.1.2. A description of the connection for, and method to read, these records shall be included in the information folder as set out in Part A of Annex I of Implementing Regulation (EU) 2017/656. 4.2. The duration of an incident of inadequate reagent level recorded in the on-board computer log as specified in point 4.1, in place of an inducement in accordance with point 6.3 of Appendix 1, shall commence when the reagent tank becomes empty, that is, when the dosing system is unable to draw further reagent from the tank, or at any level below 2,5 % of its nominally full capacity at the discretion of the manufacturer. 4.3. The duration of an incident recorded in the on-board computer log as specified in point 4.1, in place of the inducement specified in points 6.3, 7.3, 8.4 and 9.4 of Appendix 1, shall commence when the respective counter reaches the value for severe inducement in Table 4.4 of Appendix 1. 4.4. The duration of an incident recorded in the on-board computer log as specified in point 4.1, in place of the inducement specified in point 2.3.2.3.2 of Appendix 1, shall commence when inducement would have commenced. 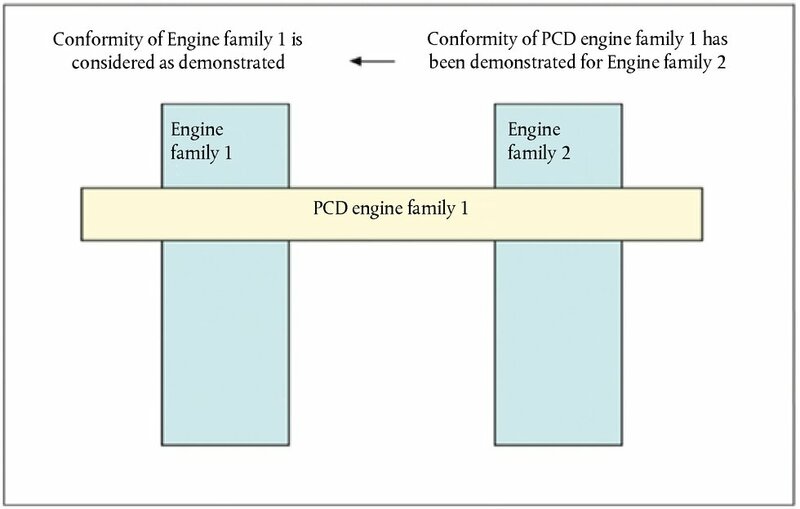 In the case where engines of an engine family belong to a PCD engine family that has already been EU type-approved, in accordance with point 2.3.6 (Figure 4.8), the compliance of that engine family is deemed to be demonstrated without further testing, provided the manufacturer demonstrates to the authority that the monitoring systems necessary for complying with the requirements of this Appendix are similar within the considered engine and PCD engine families. be included in the information folder as set out in Part A of Annex I to Implementing Regulation (EU) 2017/656.’. 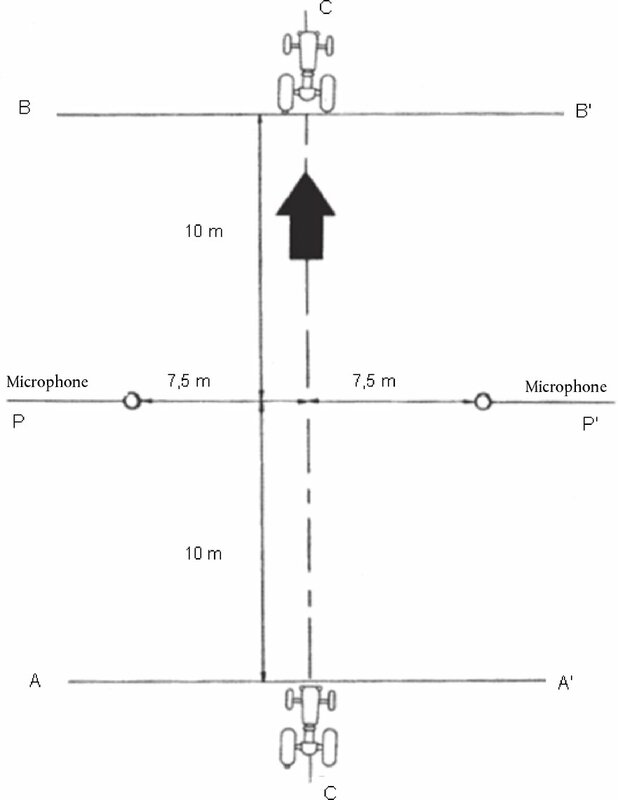 The test procedure specified in point 4 shall be repeated commencing at the stage referred to in point 4(b).’. This Annex describes the method of determining emissions of gaseous and particulate pollutants from the engine to be tested and the specifications related to the measurement equipment. As from section 6, the numbering of this Annex is consistent with the numbering of the Global technical regulation No 11 (*1) (GTR No 11) and UNECE Regulation No 96.04 series of amendments (*2), Annex 4B. However, some points of the GTR No 11 are not needed in this Annex, or are modified in accordance with the technical progress. (*1) Global technical regulation No 11 on Engine Emissions from agricultural and forestry tractors and from non-road mobile machinery under the Global Registry created on 18 November 2004, pursuant to Article 6 of the Agreement concerning the establishing of global technical regulations for wheeled vehicles, equipment and parts which can be fitted and/or be used on wheeled vehicles." (*2) Regulation No 96 of the Economic Commission for Europe of the United Nations (UN/ECE) — Uniform provisions concerning the approval of compression ignition (C.I.) engines to be installed in agricultural and forestry tractors and in non-road mobile machinery with regard to the emissions of pollutants by the engine.’;"
‘The measured values of gaseous and particulate pollutants and of CO2 exhausted by the engine refer to the brake-specific emissions in grams per kilowatt-hour (g/kWh), or number per kilowatt-hour (#/kWh) for PN. shall not exceed the applicable limit values. 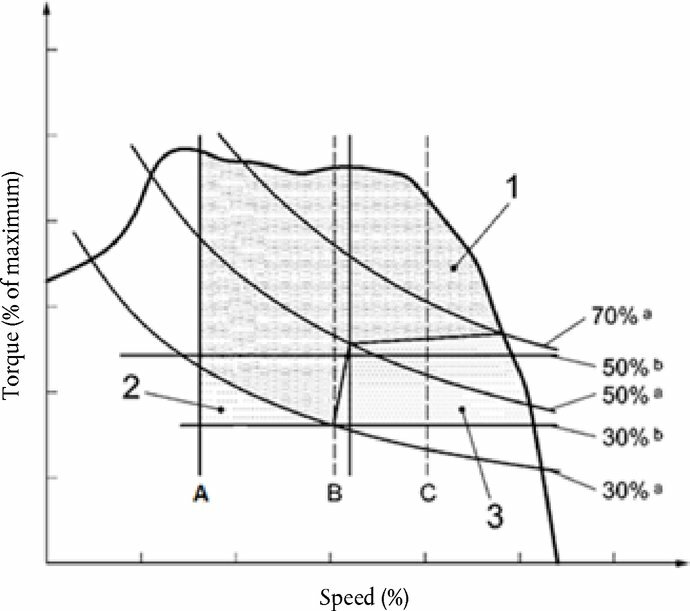 is the low speed as defined in Article 1(13). 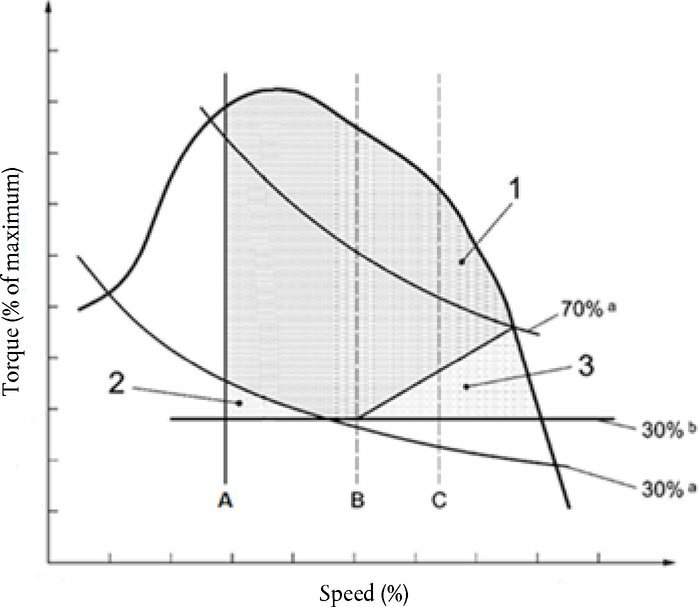 is the speed at which the maximum value of (n 2 norm i + P 2 norm i ) occurs. is the average of the lowest and highest speeds at which power is equal to 98 % of P max. A natural or forced cool-down procedure may be applied. For forced cool-down, good engineering judgment shall be used to set up systems to send cooling air across the engine, to send cool oil through the engine lubrication system, to remove heat from the coolant through the engine cooling system, and to remove heat from an exhaust after-treatment system. In the case of a forced after-treatment cool down, cooling air shall not be applied until the exhaust after-treatment system has cooled below its catalytic activation temperature. Any cooling procedure that results in unrepresentative emissions is not permitted. If there is any presumption of an essential HC contamination of the exhaust gas measuring system, the contamination with HC may be checked with zero gas and the hang-up may then be corrected. If the amount of contamination of the measuring system and the background HC system has to be checked, it shall be conducted within 8 hours of starting each test-cycle. The values shall be recorded for later correction. Before this check, the leak check has to be performed and the FID analyzer has to be calibrated. Any electronic integrating devices shall be zeroed or re-zeroed, before the start of any test interval. Appropriate gas analyzer ranges shall be selected. Emission analyzers with automatic or manual range switching are allowed. During a test using transient (NRTC or LSI-NRTC) test cycles or RMC and during a sampling period of a gaseous emission at the end of each mode for discrete-mode NRSC testing, the range of the emission analyzers shall not be switched. Also the gains of an analyzer's analogue operational amplifier(s) shall not be switched during a test cycle. Each mode has a mode length of at least 10 minutes. In each mode the engine shall be stabilised for at least 5 minutes. Gaseous emissions, and, where applicable, PN, shall be sampled for 1 to 3 minutes at the end of each mode and PM emissions shall be sampled in accordance with point (c). Notwithstanding the previous paragraph, when either testing spark ignition engines using cycles G1, G2 or G3 or when conducting measurements in accordance with Annex V of this Regulation each mode has a mode length of at least 3 minutes. In this case gaseous emissions, and, where applicable, PN, shall be sampled for at least the last 2 minutes of each mode and PM emissions shall be sampled in accordance with point (c). The mode length and sampling time may be extended to improve accuracy.